With the Feed In Tariff due to close for new applications from the 31st March, Ofgem have revealed exceptions to the rule. Commercial systems of more than 50kW and Community projects of more than 50kW and large commercial systems of less than 50kW, may be pre-registered in order to apply for accreditation after the 31st March. In short this gives larger systems more time to arrange their installs. Following pre-registration, Community projects will then have 12 months in which to commission and Commercial installations have a 6-month window, assuming all other relevant criteria is met. The outline is that “for community energy and school installations applying for pre-registration, Ofgem must receive their application on or before 31 March 2019. “School installations will then have 12 months from their pre-registration application date in which to apply for accreditation. Community installations will then have 12 months from their pre-registration application date in which to commission and then apply”. 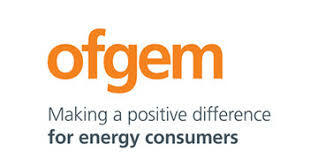 Ofgem state that “Submitting an application on time is not a guarantee of support. There must be space in the relevant cap for the installation, and all scheme eligibility criteria must be satisfied”. Feed-in Tariffs FAQ: Scheme Closure, this document addresses most queries and links to further reading. Find out more about the existing policy on Community installations with this link Guidance for community energy and school installations. For everything else about the FiT go directly to the Ofgem (Office of Gas & Electricity Markets) Feed-in Tariff homepage.